The Tejon Ranch Commerce Center is a 20 million square foot state-of-the-art commercial/industrial development on Interstate 5 just north of the Los Angeles basin. More than five million square feet of industrial, commercial and retail space has already been developed, including distribution centers for IKEA, Caterpillar, Famous Footwear and Dollar General. The Tejon Ranch Commerce Center has 15 million square feet of available space, with sites ranging from 20,000 to 2 million square feet, fully-entitled, immediately available for sale, lease or build-to-suit, with a proven ability to deliver a building in as little as 9 months. The Commerce Center is part of the overall Tejon Ranch master plan, which will include nearly 35,000 homes and 35 million square feet of commercial space. The residential community of Grapevine at Tejon Ranch, is planned for the area immediately adjacent to the Commerce Center. Grapevine’s development plan calls for 12,000-to-14,000 homes. Within 2 to 4 hours of ports that handle 37% of total U.S. volume. Famous Footwear DC handles B2B and B2C e-commerce distribution. IKEA’s 1.7 million square foot Western Distribution Center. The CAT Logistics facility was built and delivered in nine months. The approved 12-14,000 home community of Grapevine at Tejon Ranch will be built adjacent to TRCC. The Tejon Ranch Commerce Center is located about an hour north of the San Fernando Valley, very near the geographic and population center of California, providing the ability to reach more than 40 million people with next-day delivery and 70 million in two days, with the shortest average distance to major population centers in the western U.S.
Its land and leasing costs are much lower than other major commercial/industrial regions in California, often half the cost or more. The Commerce Center sits on both sides of Interstate 5, giving distributors immediate access to the west coast’s principal north-south goods movement corridor, and an easy connection via State Highway 58 to both the I-15 and I-40 east-west corridors. The Commerce Center’s location in unincorporated Kern County gives companies the opportunity to take advantage of the County’s aggressive new economic incentive program. Kern County offers individually tailored performance-based tax revenue sharing opportunities with NO CAP on the amount of the incentive or the duration it’s offered. It’s currently the only major logistics location in Kern County eligible for the incentive. Distribution Center managers at the Tejon Ranch Commerce Center rave about the available labor. Not only are wage rates lower than other major regions in California, they’ve found their employees to be hard-working, loyal and very productive. With its location on Interstate 5, at the center of the state, the Tejon Ranch Commerce Center provides dual port access from the Ports of Los Angeles/Long Beach and the Port of Oakland. The Commerce Department has approved an expansion of Foreign Trade Zone #276 at the Tejon Ranch Commerce Center. All of the industrial sites at TRCC are now included in FTZ #276, which has expanded to nearly 1,100 acres. TEJON RANCH, Calif.--(BUSINESS WIRE)--Feb. 14, 2019-- Tejon Ranch Co. (NYSE: TRC) today announced that it has agreed to terms on a lease with a company that will relocate its western US distribution operations from the Los Angeles area to the Tejon Ranch Commerce Center (TRCC) in the fourth quarter of this year. Tejon Ranch commissioned a study by an independent, third-party consultant to analyze the factors most important to site selectors, and to see how TRCC compared to other major industrial regions in California. The conclusion? TRCC offers significant advantages. Will L'OREAL be a catalyst for more companies moving out of Los Angeles to Tejon? According to Colliers International Senior Executive VP John DeGrinis, there are many reasons why more LA-based companies. 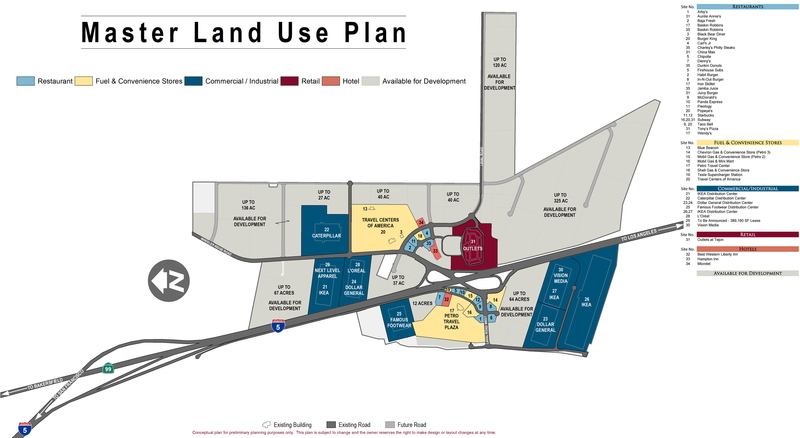 like L'Oreal, will want to make the short move north to the Tejon Ranch Commerce Center. The County of Kern has approved a new economic incentive for L'Oreal that's worth $2.3 million. The incentive, which will come in the form of rebates on property, sales and use taxes paid by the international beauty company, is based on the number of jobs created. It is the first incentive approved under the new Advance Kern program, which was approved by the Board of Supervisors in November 2017. L'OREAL USA is making the move from Valencia, CA to the Tejon Ranch Commerce Center to take advantage of the three "L"s - Labor, Logistics and Location. Having outgrown its existing facility, L'Oreal needed a place where it could expand, even as the company continues to grow.